The Radiology-Integrated Training Initiative (R-ITI) is an e-learning resource available via the e-LfH Hub to approximately 5600 UK radiologists. With over 650 hours of e-learning and around 800 e-learning sessions, it is one of the largest e-learning projects in the world. The original project also incorporated the setting up of radiology academies and a validated case archive. The award-winning R-ITI e-learning resource was developed in the UK by Health Education England e-Learning for Healthcare (HEE e-LfH) in collaboration with the Royal College of Radiologists (RCR). For more information on the history of e-LfH and how it all began click here. R-ITI’s e-learning resource is based on the knowledge and experience of practising clinical radiologists, representing best practice in radiology and combining traditional proven teaching models with state of the art technology. R-ITI was launched in May 2007 and has received a number of industry awards. 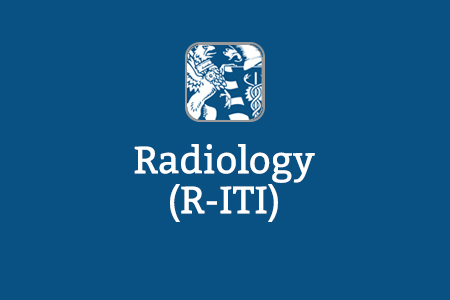 Written by expert radiologists and based around the core radiology curriculum, R-ITI is an essential tool for radiology trainees. R-ITI is designed to support and enhance the learning of ST1-3 specialist registrars on the five-year radiology training scheme. The programme offers ideal preparation for the Fellowship of The Royal College of Radiologists (FRCR) and equivalent examinations. 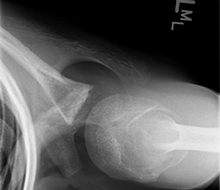 R-ITI can also be used by fully qualified clinicians or consultant radiologists looking to reinforce, strengthen or maintain core knowledge. The Curriculum Guide contains detailed information on all the individual sessions contained within each module. Other HEE e-LfH programmes that may be of interest to radiologists include; Advanced Radiotherapy, Anaesthesia, Ionising Radiation (Medical Exposure) Regulations, Interpretation of Radiological Images, Radiation Protection, Radiation Safety for Staff, Safeguarding Children and Young People and Statutory and Mandatory Training 2017. Programmes focusing on professional skills include; Equality & Diversity, Leadership for Clinicians (Clinical Leadership and Medical Leadership), Management and Leadership Skills and Research, Audit and Quality Improvement. This highly engaging content includes many interactive features, such as practical exercises and self-assessment questions, to reinforce learning and understanding. Using interactive case studies, you can analyse written reports, enhance your skills in interpreting clinical information and test your diagnostic skills. You can also view numerous high-quality images including radiographs (X-rays), ultrasound and MRI video clips and 3D diagrams, which create greater spatial awareness and realism than textbook learning. By special interest – for example Oxford University Hospital NHS Foundation Trust has introductory, intermediate and advanced paths for interventional radiology as well as paths for paediatrics and ST1 anatomy. Learning paths are easy for e-LfH to build for you. All they need is a list of the sessions that you want to include. If you are interested in doing this for your training programme, please email support@e-lfh.org.uk. In this session you will see a range of diaphyseal lesions. Images of aggressive and non-aggressive lesions are presented, together with explanations regarding the pathologies and their differential diagnoses. This session reviews which chambers contribute to the ‘normal cardiac outline’ and examines how specific chamber enlargement or absence alters the normal cardiac shape. 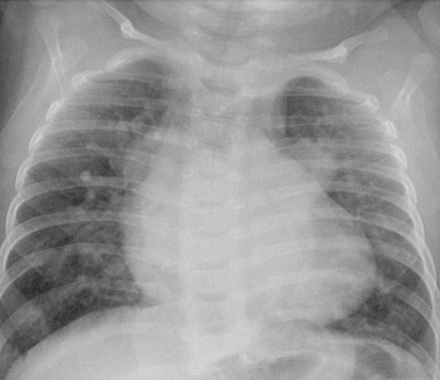 It will describe the different diagnoses, which result in characteristic cardiac shapes that enable the diagnosis to be made from the chest radiograph (CXR). Associated features such as other mediastinal findings and changes in the lungs, for example right aortic arch, will be included where relevant. In this session you will learn about congenital abnormalities of the bladder and urethra. 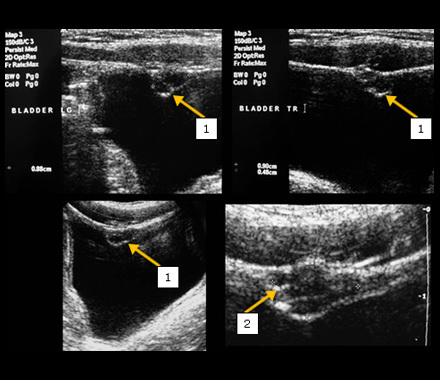 You will also learn about some normal anatomical structures in the urethra which can be confused with abnormalities. 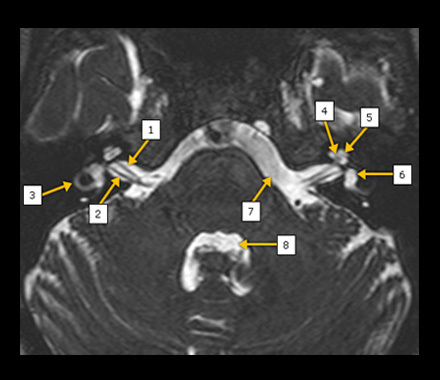 In this session, we will cover the anatomy of the cerebellopontine angle (CPA) and the common types of CPA lesions with emphasis on vestibular schwannomas. We will briefly discuss the presentation of such lesions and the strategy for their investigation, including the role of computed tomography (CT), magnetic resonance imaging (MRI) and advanced MRI sequences. R-ITI is one of many e-learning programmes available online allowing trainees to access the learning when they want so they can study at their own pace, in their own time. For those trainees who do not qualify for free access to R-ITI, e.g. they are overseas or not part of the NHS, licenses can be purchased via eIntegrity, a community-interest company established for this purpose. Substantial discounts are available for RCR members. In order to access any e-LfH programme, you will need an e-LfH account on the e-LfH e-learning Hub (learning management system). If you do not already have an account, you can register by selecting the Register button below. To access these programmes for free, you should register using your NHS email address. If you already have an account with e-LfH, then you can enrol on to the Radiology or any other programme by logging in to the e-LfH Hub, selecting My Account > Enrolment and selecting the programme(s) of interest. You can then access the programme immediately in the My e-Learning section. For guidance on how to make the most of the e-LfH Hub or to provide feedback on sessions, share and bookmark useful sessions, download the e-LfH Quick Start Guide. If you are accessing R-ITI via eIntegrity, using the e-LfH e-learning Hub, you can also make the most of R-ITI by keeping track of your learning activity using certificates. R-ITI has set a gold standard for e-learning in healthcare in the UK and it is now available to healthcare professionals globally. For more information on the licensing options available for the Radiology programme, please visit the eIntegrity website.